Read Will's review of Colette. After marrying a successful Parisian writer known commonly as “Willy” (Dominic West), Sidonie-Gabrielle Colette (Keira Knightley) is transplanted from her childhood home in rural France to the intellectual and artistic splendor of Paris. Soon after, Willy convinces Colette to ghostwrite for him. She pens a semi-autobiographical novel about a witty and brazen country girl named Claudine, sparking a bestseller and a cultural sensation. After its success, Colette and Willy become the talk of Paris and their adventures inspire additional Claudine novels. Colette's fight over creative ownership defies gender roles and drives her to overcome societal constraints, revolutionizing literature, fashion and sexual expression. Directed by Wash Westmoreland and written by Wash Westmoreland, Richard Glatzer, Rebecca Lenkiewicz. Colette is in select theaters on September 28th 2018. 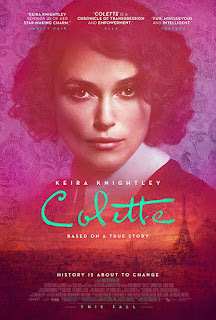 Colette is the latest addition to Keira Knightley's repertoire of period pieces. Some may call her the queen of period movies. She delivers another excellent Oscar caliber performance. The movie begins in the countryside of France: Saint-Sauveur in the 1880’s. Colette (Keira Knightley) moves to Paris after her marriage to Willy (Dominic West) a well known writer who uses her as his muse. Colette has a talent for writing but is forced to publish her works under her famous husbands name - who, then, receives credit for the incredibly popular “Claudine” book series that she created. Using her personal stories for the basics of the books, she also has to deal with her husbands misogynistic attitudes and infidelities. Because of this, he allows her to engage in sexual relationships with women, and write her/their books with as much candidness as she would like. 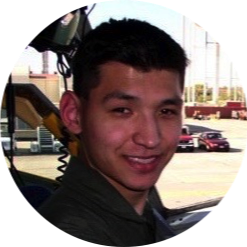 Its has a quick pace to it and keeps it engaging throughout its entirety. Colette's character development is a fascinating one to watch, as she works through defying gender conventions in her performance and writing, as well as in her own relationships. The film tackles the power dynamics that Colette is often subject to due to toxic masculinity, and it is largely in exploring her sexuality through her passionate affairs with other women that she begins to realize she does not have to remain a victim of circumstance forever. Any story about a woman's experience finding herself, her independence, her sexuality and, ultimately, her freedom, would be a story worth telling. But not only is this an intrinsically female story, it's also the real life accounts of a historical figure. Despite taking place in the late nineteenth and twentieth century, this movie is culturally self-aware in a sense that will translate well to contemporary viewers.